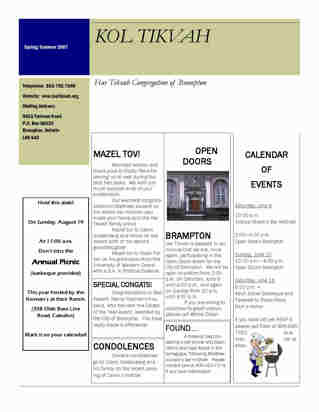 If you would like information about converting to Judaism you can contact Har Tikvah at (905) 792 7589. Our Rabbi will discuss all requirements with you and will sponsor you for conversion as you complete the necessary education. Education includes attending a Jewish Information Course. Though a requirement for conversion, this course is also beneficial for anyone who isn’t necessarily interested in conversion, but just would like to learn more about Judaism; such as history, traditions, holidays, and religious aspects. *Please note you must be Jewish to have your wedding in the synagogue, or to be buried in the Jewish cemetery. However, you don’t need to be Jewish to attend the synagogue – or to participate at Har Tikvah events … in fact, we would be pleased to welcome you to our warm and friendly congregation.